The explosion of sensors in all types of devices from “smart” consumer wearables and appliances to complex machines on manufacturing floors has given rise to a requirement to quickly analyze vast quantities of sensor metrics to provide meaningful insights. From exploratory to predictive analytics, analyzing time-series data is essential to address inefficiencies, identify risks and improve operations. In this session, we will see how you can conduct exploratory analytics of time-series data rapidly to gain insights into the performance of the machines being monitored. We will talk about how to look at data from multiple metrics together in a holistic way to hone in on anomalies and identify potential problems. Finally, we will cover algorithms and techniques to predict future trends for time-series metrics. Along the way, we will discuss useful tools and technologies to perform time-series data analysis in minutes. 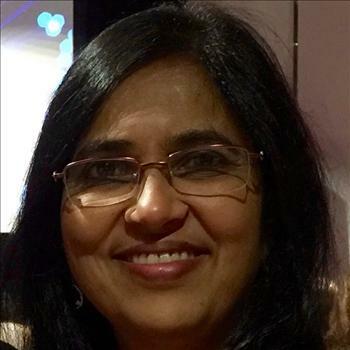 Shanti Subramanyam is the Founder and CEO of Orzota, Inc. Shanti has decades of experience in building distributed applications and scalable systems having worked in companies such as Box, Yahoo! and Sun Microsystems before founding Orzota. She is a technical leader and consultant, architecting Big Data solutions for large enterprises.